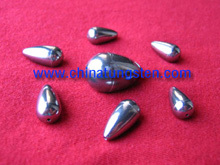 What is Tungsten Alloy Fishing Sinkers? A jig is a type of fishing lure that usually consist of a lead sinker with a hook molded into it and usually covered by a soft body to attract fish. 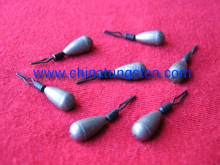 However, recently, tungsten alloy fishing sinkers are becoming more and more popular among angles Tungsten alloy fishing sinkers with its high density, small volume, and environmental friendliness is quickly replacing lead weights. Jigs are intended to create a jerky, vertical motion, as opposed to spinner baits that move through the water horizontally. The jig is very versatile and can be used in both salt water as well as fresh water. Many species are attracted to the lure that has made it popular amongst anglers for years. 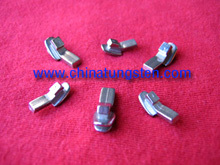 Tungsten alloy fishing sinkers are made by rare metal – tungsten. 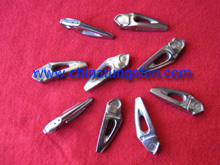 It is an ideal substitute of the lead fishing sinker. Tungsten heavy alloys concentrate maximum weight in the smallest possible space. They are often used as counterweight in sporting field, such as balancing, tungsten heavy alloy fishing sinkers, golf weights, etc. 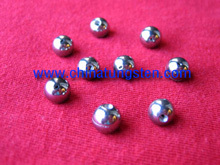 Tungsten alloy fishing sinkers are an ideal, environmentally friendly alternative to lead weights, which are toxic and increasingly being labeled an environmental hazard. They are harder than steel and extremely dense, tungsten being on average 30 percent smaller than its lead counterpart is. Meanwhile, they are smaller than conventional weights, create twice the sound of lead weights and maintain their shape for longer. Tungsten is also used in the production of other fishing applications, such as tungsten-carbide line cutters and tungsten powder coating for fishing lines. 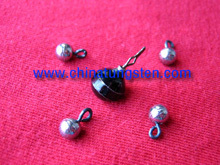 We can offer tungsten heavy alloy fishing sinkers, tungsten alloy fishing weights, tungsten beads and tungsten jigs at various shapes. 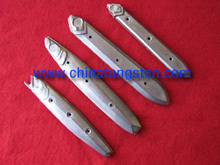 We can manufacture tungsten alloy fishing sinkers according to your drawings, or we can design it for you. 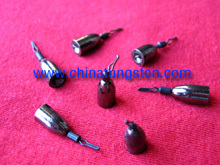 If you are interest in tungsten alloy fishing sinkers, please do not hesitate to contact us at sales@chinatungsten.com, or telephone at 86 592 5129696.